About 12 years ago number of Milton Residents came together to create a community group to organise social events within our Parish. 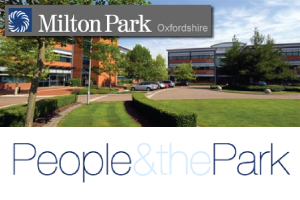 Our regular events include The Duck Race, The Tadpole Feast & Barn Dance and The Firework Display and from time to time we also help to organise one-off events, such as the recent Great Milton Quiz. The Tadpole Feast (our village fete!) is scheduled for Saturday 29 June 2019, and it will soon be time to have a preliminary meeting to discuss its organisation. In any community group, it is essential to have an influx of ‘new blood’ bringing new energy and ideas, so we would really love to hear from anyone who would like to contribute? 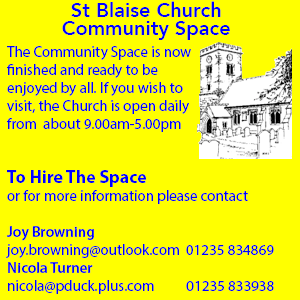 If you contact any of our advertisers, please be sure to mention that you saw their advert in Milton Matters. Prizes will be delivered to the winners shortly! Full information is available on the website or by contacting me. The April draw will take place on Sunday 19 May – good luck! The authority’s planning committee will be asked to approve the Premier Inn expansion at a meeting at the Beacon in Wantage on Wednesday 17 April. This term classes are engaged in some great topics. Oak class are learning about eggs. A mysterious golden egg hatched revealing a dragon that they are now busy caring for. . . . . .
As the weather improves and the evenings grow longer it is nearly time for the 2019 outdoor bowls season, starting with the annual Chairman’s vs Captains’ battle on Saturday 13 April at 2.00pm. There will also be a ‘spider’ where bowlers spread themselves around the 30m x 30m green perimeter and on the whistle, bowl one wood hoping to end up closest to a jack in the middle. Two minutes of fun and chaos, all for a much-prized bottle. .
Services and Events during April at St. Blaise; Milton	Methodist	Church; Roman Catholic parish of St Edmund. 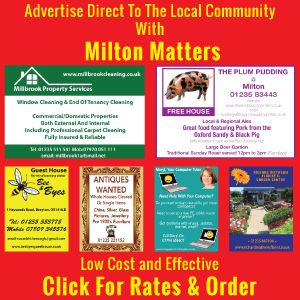 Advertising on both this website and in the Milton Matters magazine starts from just £46.00 per year inclusive.